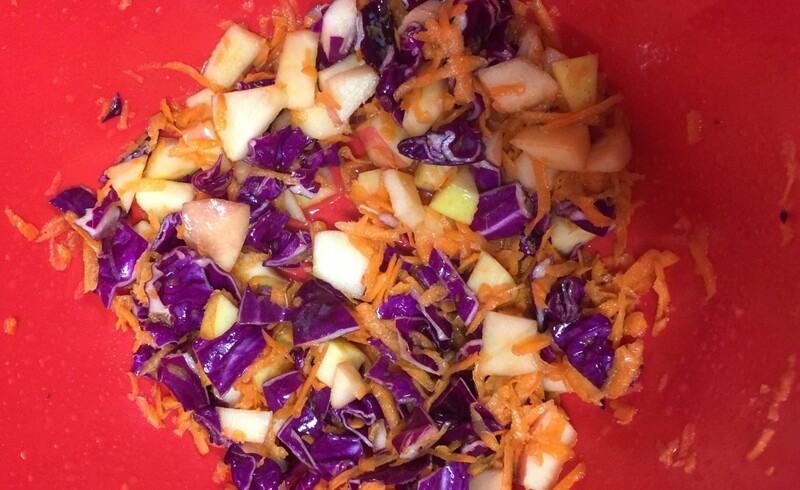 Our third recipe of the 2015-2016 Winter Cooking session at local schools has been very popular! Let us know if you try it at home, we love to hear stories of families trying the recipes. 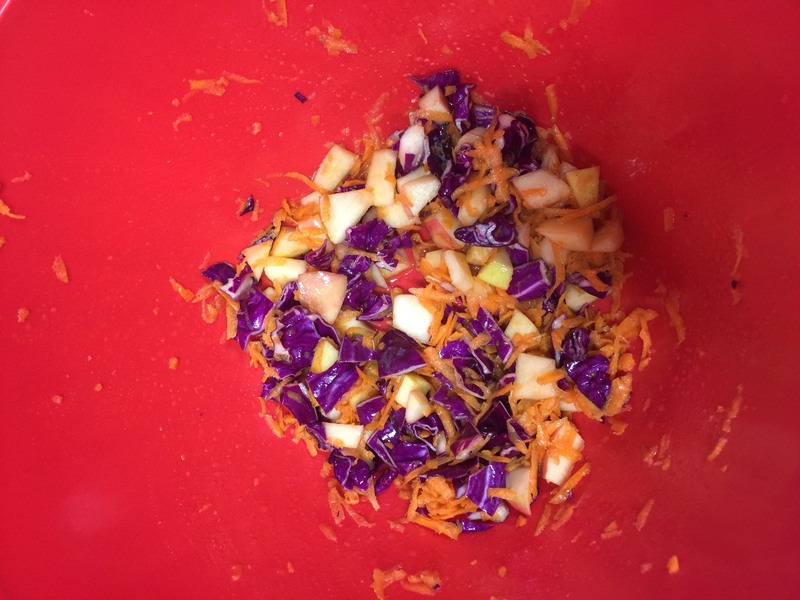 Use a grater to grate the carrot and place in the bowl with cabbage. Remove the core from the apple. Thinly slice the apple sections and add to the bowl. Remove the core from the apple. Thinly slice the apple sections and add to the bowl. Optional: chop the cilantro and place into large bowl. Measure out the dressing ingredients in a small bow. Whisk to combine. 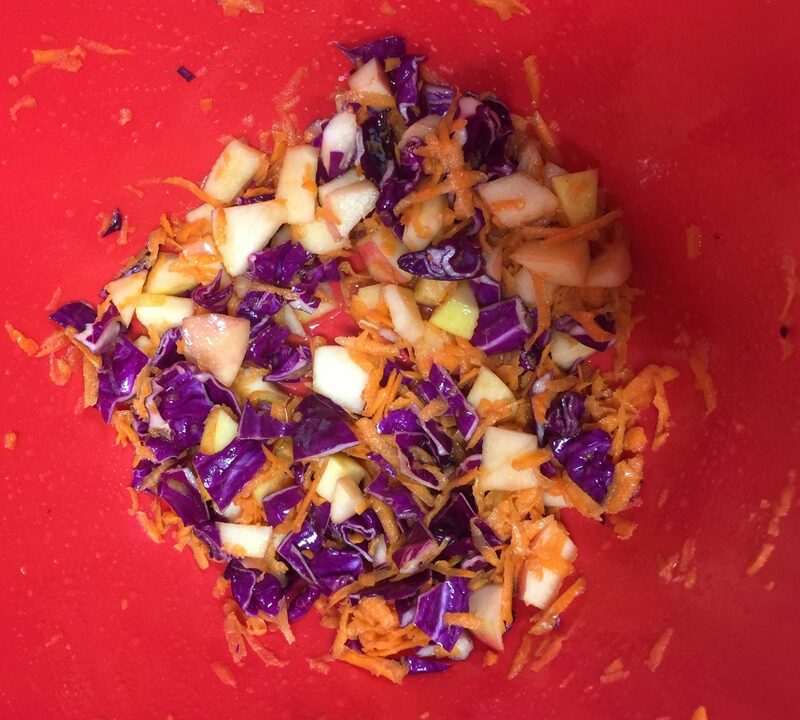 Add dressing to salad and mix. Enjoy!